Just when you thought you were getting a handle on the Feasts of YHVH, along comes another holy day that depends on how you count! What is it about Hebrew Roots that makes me count all the time? First, I had to learn to count to three because it is impossible for the crucifixion to have taken place on a Friday (good or otherwise) with a resurrection on Sunday and fulfill the sign of Jonah that Yeshua spoke about! I mean, seriously, you cannot get three days and three nights from Friday to Sunday morning, no matter how you slice it! So, if the church I grew up in cannot even count to three, why would I think that they have it right when they teach about Pentecost? Or, more accurately, Shavuot! Have you been counting the omer? And why do we count them? When do we begin the counting? The first day to begin counting the ‘omer’ is another area where there is confusion! According to the Jewish calendar, the count begins on the second day of Passover when the first offering of the ‘omer’ was taken to the Temple. But, what does the instruction from Leviticus 23 say? Lev 23:10 “Speak to the people of Israel and say to them, When you come into the land that I give you and reap its harvest, you shall bring the sheaf of the firstfruits of your harvest to the priest, 11 and he shall wave the sheaf before the LORD, so that you may be accepted. On the day after the Sabbath the priest shall wave it. If we do not understand when to observe First Fruits, we cannot understand how to begin our 50 day count! It is easy to see where the confusion arises. Read Leviticus 23:12: And on the day when you wave the sheaf, you shall offer a male lamb a year old without blemish as a burnt offering to the LORD. That sounds like Passover, doesn’t it? But, there is more to this instruction! Read on! 13 And the grain offering with it shall be two tenths of an ephah of fine flour mixed with oil, a food offering to the LORD with a pleasing aroma, and the drink offering with it shall be of wine, a fourth of a hin. 14 And you shall eat neither bread nor grain parched or fresh until this same day, until you have brought the offering of your God: it is a statute forever throughout your generations in all your dwellings. If we go back to the Exodus account where Moses was given the instructions for the Feasts of YHVH, there may be some clues in how the Mt. Sinai event is a model of the Spring Feasts. So, the first grain harvest that was presented as a wave sheaf to YHVH each spring was the barley harvest. This lines up with our understanding of the head of the year being based on the Aviv Barley and Sighting of the first sliver of the moon, as documented by Michael Rood’s Astronomically & Agriculturally Corrected Biblical Hebrew Calendar. As you can see, there is no consensus on the calendar issues! It is refreshing to read what the above website says about Sunday marking First Fruits and Shavuot, but I cannot agree with his remark that the resurrection too was on a Sunday. Yeshua was already absent from the grave when the women came ‘early’ on the first day. Here we are again, trying to un-learn our perception that a day begins and ends at midnight rather than the Hebraic understanding that a day begins and ends when the sun sets. Joh 20:1 On the first day (which began at Sundown on the Sabbath) of the week, early in the morning and while it was still dark, Mary Magdalene went to the tomb and noticed that the stone had been removed from the tomb. HE TOLD MARY NOT TO TOUCH HIM! WHY? The High Priest (Cohen Gadol) was to remain in seclusion from the marking of the first fruits until they were offered in the Temple on Yom HaBikkurim (First Fruits)! Yeshua fulfilled that seclusion by his three days and three nights in the tomb! He told Mary he had not yet ascended and to tell his disciples so! Yet, later that same day we see Him appear to his disciples and invite them to touch his hands, feet and side! To adopt the Jewish calendar date of First Fruits being the day following the High Sabbath of Passover week, is to destroy the shadow picture given to us to foretell the miracles fulfilled by the Messiah! And, it doesn’t really match the time-frame that we see in the account of Moses and his trips up and down the mountain between Passover and the giving of the Ten Commandments. All of the Feasts of YHVH are shadow pictures of the Messiah! ALL of them! According to the gospel record, Yeshua ascended to His Father on that Sunday (the first day of the week)! At least on the year of His crucifixion, First Fruits was offered on a Sunday! He wasn’t resurrected on Sunday; he ascended to present the First Fruits on Sunday! If He was our Passover Lamb, and according to His own statement to his disciples, the only sign given would be the sign of Jonah (three days and three nights in the tomb), then how can we reconcile that first fruits would occur on the second day of Passover? We cannot count to three if we do that! Can we? And, if we fail to determine the correct day to present the First Fruits, we cannot accurately count the fifty days to Pentecost (Shavuot)! I grew up in the Christian church that said the crucifixion happened on ‘good Friday,’ and he arose on Sunday. And, to this day, many will say that it isn’t about accuracy, it is about what happened! What kind of God would we serve if He didn’t care enough to follow through with what He determined to do? If he said it was going to be three days and three nights in the tomb, then that has to be what happened. Otherwise, we make Him out to be a liar! If we swallow that a ‘traditional’ belief in a Friday-Sunday window for our reconciliation is good enough, what other ‘traditions’ are we allowing to obscure the precision of YHVH’s Word? He hasn’t changed! Why should we accept a lie? Maybe I am just naïve. But I have always believed that there is only One Truth. Truth is not a sliding scale; it is either truth, or it is a lie. Shades of grey are not truth. It is like a glass of water. Pure water is clear and unpolluted. That is what we all want to have! But if someone handed you a glass of water that was cloudy and grey, would you drink it? Sure, there is some water in there, but until you filter out all the pollutants, it is not pure water. And depending upon what is added to the water it may or may not be lethal! Are you willing to chance it? I want to drink the pure water of truth from YHVH. That means filtering out errors…even when they come from ‘scholars,’ ‘ministers,’ ‘theologians,’ ‘teachers,’ and ‘prophets.’ What did he put in place for us to understand? It is all in the Scripture (Old Testament) as Yeshua explained to his disciples on the way to Emmaus! My wakeup call was when I understood how to count to three! Now I am learning to count to 50! Guess what? We are going back to Mt. Sinai again! Read the account and do the math! Moses went up to meet with YHVH. He climbed up to meet with Him Face to Face! 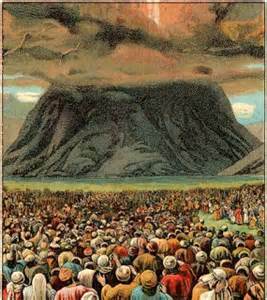 Below the mountain that was covered in thick clouds and fire, the Israelites were assembled. It is a picture of a Hoopah, do you see? The Ten Commandments were given to Moses and the Israelites on Shavuot! It was their Ketubah (marriage covenant)! In his e-book, The 2300 Days of Hell, Joseph Dumond elaborates on the roots of the word Shavuot. “By investigating just these three Hebrew words (H-7620, H-7650 and H-7651) alone, which stem from the word “Shavuot,” we now have a sound basis and very strong case for seeing the correlation between the three Hebrew words and their connection to the “Feast of Oaths.” When you seven yourself, you are making an oath. Dumond’s book elaborates on the mechanics of a Suzerain-Vassal Treaty. Rico Cortez also teaches about these covenant agreements. I will not elaborate on that here, but you might be curious to study it on your own. It was important enough to YHVH to send His Son, Yeshua, to mend the breach and restore the covenant. On the Feast of Shavuot, we are to offer up bread from the first fruits (bread made with the grain sheaf offering from First Fruits) and observe it as a High Sabbath day. Lev 23:20 Then the priest is to wave them—the two lambs with the bread of first fruits—as raised offering in the LORD’s presence. They’ll be sacred to the LORD on account of the priest. 21 “On the same day proclaim a sacred assembly for yourselves. You are not to do any servile work—and this is to be an eternal ordinance wherever you live throughout your generations. Doesn’t this look like a shadow-picture of the Shemitah and Jubilee years? Seven Weeks, Seven Years, Seven weeks of years (Jubilee)! Shemitah (Sabbatical year): The seventh year, during which the fields were to be left fallow (Leviticus 25:1-7) and debts released (Deuteronomy 15:1-11) In Hebrew: Shemitah (“Release”). Jubilee: From the book of Leviticus (25:8-24) where it is stated that a series of forty-nine years [was] to be and every fiftieth year declared a special year during which there was to be no agricultural work; all landed property was to revert to its original owner; and slaves were to be set free. If we are correct and First Fruits always occurs on a Sunday, then that would perfectly shadow the rest for the land that happens on a Jubilee year too. Every seventh year (i.e. Sabbath) was a rest cycle. And every 50th Year (i.e. 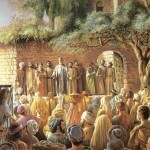 Shavuot) was a Jubilee! If you look at the counting of the omer with an eye to how it models the Jubilee cycle it is a witness that First Fruits has to fall on a Sunday! And wouldn’t it make sense that the ‘8th’ day would be a Jubilee? WHAT DOES SHAVUOT HAVE TO DO WITH PENTECOST? Back to the Christian viewpoint! I learned that Pentecost (Greek for Shavuot) was the beginning of the church! That’s when the outpouring of the Holy Spirit fell like flames of fire on the disciples! Everyone was speaking in tongues and it was amazing! And, it was amazing! It was the ‘Helper’ that Yeshua had promised to send to his disciples! 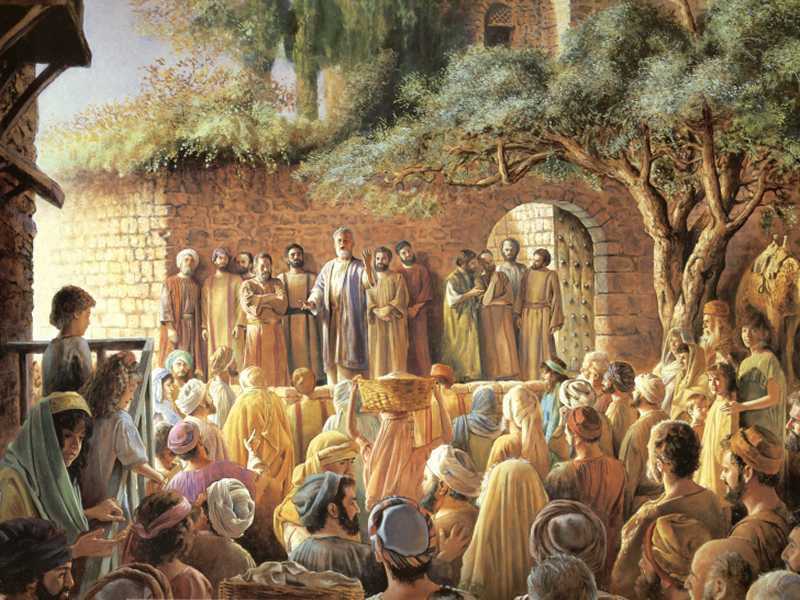 It was the very event that He made sure his disciples waited to receive after he ascended into Heaven after forty days walking among them after his resurrection. Then, on Shavuot, the outpouring of the Holy Spirit was an echo of Mt. Sinai! WHAT ECHO OF MT. SINAI? What do we know about the Mt. Sinai event? There was a mountain covered in flame and cloud! There was the Voice of YHVH that spoke to them about who He was! 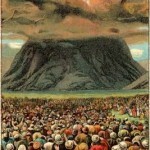 The Israelites were all gathered at the base of the mountain, all cleaned up and ready for their appointment with YHVH! They were a ‘mixed multitude’ of people of different tribes and different cultures! The noise was so great from the blowing of trumpets (shofars) that the people were astonished and frightened! Many believe that the Israelites (a mixed multitude) HEARD the Word in their own tongues. They SAW the Words manifested in Flame and Fire, and they FELT the tremors caused by the loud blowing of the Shofars! Then what happened in Jerusalem? Act 2:1 When the day of Pentecost was being celebrated, all of them were together in one place. 2 Suddenly, a sound like the roar of a mighty windstorm came from heaven and filled the whole house where they were sitting.3 They saw tongues like flames of fire that separated, and one rested on each of them. 4 All of them were filled with the Holy Spirit and began to speak in other languages as the Spirit gave them that ability. 5 Now devout Jews from every nation were living in Jerusalem. WHAT ELSE IS USUALLY DONE ON SHAVUOT? If we understand that the Shavuot is the ‘Feast of Oaths’ it is even more exciting! It commemorates the oaths made by the Israelites in the Betrothal Ceremony when the Commandments (Ketubah) were ratified in blood! It is traditional to read the Ten Commandments and the Book of Ruth on Shavuot! Both are examples of making an oath. The Israelites made an oath (covenant) with YHVH and Ruth made an oath (covenant) with Naomi and her GOD! I was surprised to learn that the book of Ruth is read on Shavuot. There are only two books in the Bible that are about women. One is Esther (a Jew) and the other is Ruth (a Gentile)! Not only was Ruth a Gentile, she was a Moabite!! The Moabites, if you will recall from your studies of the Old Testament, were particularly to be avoided! The Moabites conducted child sacrifices and worshiped ‘other’ gods! Proof, I guess, that anyone can be redeemed into YHVH’s family! The fact that Ruth began as a Moabite and turned away from her customs, family and nation to become grafted into the family of Israel is great news for all of us! She CHOSE to have YHVH as her God, and Naomi’s people as her people. And, to top it all off, she became a part of the family tree of Yeshua! Doesn’t it help to connect the dots when we recognize that the Mt. Sinai event was a Ketubah? It was a marriage covenant between YHVH and His ‘Bride’ Israel! So, if Mt. Sinai was the Betrothal, was the outpouring of the Holy Spirit the consummation of the marriage? What a blessing to know that we can choose to be the Bride! We don’t have to begin as a Jew like Esther! We all can be grafted into Yeshua’s Family Tree, just like Ruth! All we have to do is repent for breaking His covenant! Then, because we love Him and want to enter into that covenant agreement (either turning or returning), we will follow! ARE YOU READY FOR SHAVUOT? Will you ‘go up’ and offer your Oath. Will you ‘seven’ yourself to our LORD and Savior? WHAT IF I HAVE TURNED AWAY? What does Yeshua teach his disciples? Would he instruct them in something he isn’t willing to do himself? Act 3:19 Therefore, repent and turn to him to have your sins blotted out, 20 so that times of refreshing may come from the presence of the Lord and so that he may send you Yeshua, whom he appointed long ago to be the Messiah. Act 3:21 He must remain in heaven until the time of universal restitution, which God announced long ago through the voice of his holy prophets. 22 In fact, Moses said, ‘The Lord your God will raise up for you a prophet like me from among your brothers. You must listen to everything he tells you. So, here is the question we must answer for ourselves: If Shavuot is when the Ten Commandments were given, and the same Feast marks the outpouring of the Holy Spirit, then doesn’t it follow that Mt. Sinai and Acts 2 are connected? Why would we entertain the notion that the commandments that Yeshua spoke about and upheld are now abandoned? If, as Moses and the apostles agreed, we must listen to everything that THE PROPHET that was appointed to be our Messiah said, then the Torah that He taught, lived and fulfilled is still in effect! And how blessed are we that it is! Great article as usual, wow the back and forth. People need to do their research and stop picking on those who do. If we differ on names or calendars it is not the end; one day we will know. Focus on getting the Gospel of the Kingdom preached that’s a fact from our High Priest Yeshua. Shalom. Are you familiar with the Jewish Rules of Postponement used to regulate the feast on the Jewish/Hebrew calendar? What is the purpose of these rules, when were they adopted by the Jews, and why is it that we have no mention of them, or anything that would create a need for them in scripture? Should not they have been given at the same time as the calendar of appointed feast given to Moses at Mount Sinai? The Jewish rules of Postponement are used in their Calculated Calendar. Calculating the calendar is not part of the instructions given to Moses. There is, however, a provision for keeping Passover in the second month, when warranted. Num 9:6 And there were certain men who were unclean through touching a dead body, so that they could not keep the Passover on that day, and they came before Moses and Aaron on that day. Num 9:10 “Speak to the people of Israel, saying, If any one of you or of your descendants is unclean through touching a dead body, or is on a long journey, he shall still keep the Passover to the LORD. Num 9:11 In the second month on the fourteenth day at twilight they shall keep it. This site references the Astronomically & Agriculturally Corrected Biblical Hebrew Calendar (A Rood Awakening). For other questions on the calendar, refer to Michael Rood’s teachings. Shalom. Michael Roods website only had one page that even mentioned postponements but it did not answer the questions that I asked. Your reply did not answer the questions either. I’m sorry I was not more clear. The Postponements are part of the Calculated Calendar. We do not CALCULATE the calendar. We observe the times and seasons by the first sliver of the moon to mark the beginning of the month, and the aviv barley to understand when the first month is to be marked, or when an adar bet is required. Rood’s teachings cover this understanding. In short: the ‘Rules for Postponement’ appear to be Rabbinical Takinot, and therefore, not part of our understanding of the calendar. Love what you have written. I just finished a series of videos on why the book of Ruth is so integral to Shavuot. I thought I might leave the link here for those who would like to take a look at it. It’s fantastic! While the Rabbi is thoroughly Jewish, I always remember to keep Yeshua Messiah in mind while watching these. thanks Bonnie! I just joined AlephBeta.org myself. Great teaching on Ruth! thanks for stopping by. I have to agree with Julia on the 7th day Sabbath. Scripture makes it clear that YHVH’s Sabbath is every 7th Day. Hebrew, YHVH’s perfect language, does not even name days 1-6 in their own right. They are named in relation to the Sabbath. Day 1 of the Sabbath, day 2 of the Sabbath, and so forth until reaching the 7th day, Yah’s Shabbat. Just a little tidbit of observation. If the 4 weeks of the month are not tied to the new moon, New moon day (requiring extra sacrifices) pretty much takes a back seat in importance to Judah and us today. I believe scripture reveals it was very important to ancient Hebrews. A 7th day Sabbath is not in opposition to the monthly new moon. They are both a FACT! So what is your problem? My problem is that so many people believe in the myth that Father separated the week from the month at creation and created a second calendar using just counting the sun every 7 days for the weekly sabbath. History does not bear this out. I can find no evidence in history that anyone followed a separated perpetual 7 day week for any reason until the 2nd century CE. 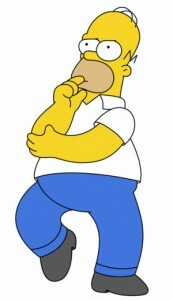 I know Julius Ceasar separated the week from the month in his 8 day calendar in 45BC. If you can show me details where this is in error, I am open. Never before in the history of mankind, because of the Internet this past 19 years, has man had access to such a wealth of information right in our own living rooms. It’s better than 100 libraries in my neighborhood. I do understand how important the creation 7 day weekly cycle is to Father and the importance of it’s shadows reflected in other truths in scripture. And I understand why you would adamantly protect these truths. I apologize if I have upset you in any way with my understanding on this subject. I am open to logical, factual and historical correction. I appreciate your zealousness to protect the scripture. We are commanded to rest on the weekly Sabbath. It has always been the seventh day. The Sabbath has nothing to do with the moon. The moon was not created until the 4th day of Creation! The moon is used to determine the appointed times throughout the year – not to re-start the weekly calendar. How does that even make sense? Does the Earth stop its rotation so that we can begin a new week? We have been very clear about how we understand the weekly calendar. It is no different than the weekly Sabbath that the Israelites were commanded to follow “Work for six days, rest on the 7th day.” This was established in creation week, and re-established for forty years in the wilderness! A Day is always sunset to sunset (one revolution of the earth). A week is counted with 7 revolutions of the Earth. Every week is exactly 7 days long. This pattern repeats and has since creation week. This is basic, and not at all confusing. It also perfectly lines up with scripture. If you look at the linguistics of the days of the week, you will see a pattern that confirms a ‘Sabbath’ on the 7th day of the week in all the major languages. Probably since He confused the languages at the Tower of Babel. That goes back much further than the 2nd Century CE you mention. Again: if you wish to understand the other points of the Calendar, I recommend the teachings by Michael Rood on the subject. He has done the research and documents it all very clearly. That is the source used to write this article. I’m sure it will provide you with all the historic, scriptural and extra-Biblical corroboration that you desire. I’m sorry that you are so prejudiced against a single created calendar theology using the sun, moon and stars. Father put a beautiful clock in the sky for us to keep track of time that perfectly fits His scripture and is quite simple. Confusion is introduced when believers mix in a second created calendar theology of an independent perpetual 7 day week that is not tied to any other grouping of time such as the month. Separating the week from the month was not Father’s idea. Julius Ceasar first did this in 45BC with his 8 day calendar. It is a lie that Father created a second perpetual 7 day calendar. Most people don’t even think of it in those terms. It is really the mixture of the Gregorian calendar’s perpetual 7 day week not tied to the months that we are dealing with. We mix it in with our religion and go to great lengths describing how it fits scripture. The calendar issue is a “come out of her my people” issue that is deeper rooted in our minds and hearts than was christmas and easter. This is because we deal with it every day, not just once a year. May Father help us all as we wake up from our slumber. Arise Israel. You seem to be conflating the Weekly Calendar with how YHVH established Months/Years. The first ‘week’ was established at creation when the Father rested and sanctified and set-apart the 7th day. As a matter of fact, at Yeshua’s time, the Julian Calendar was in effect…not the Gregorian. The seven-day week has been used all over the world for thousands of years. Thousands of years before the Roman/Christian era. How can you say I am prejudiced against His calendar when I believe the creation account…the reaffirmation of which took place when YHVH removed the Israelites out of Egypt and re-established his 6 days of work and 7th day rest cycle while they wandered in the wilderness. The moon and sun and stars all have their significance with the Moedim, there is no doubt. It doesn’t negate the 7 day week which was established first. YHVH is perfectly capable of achieving both objectives. I know that the calendar issue is huge. I don’t think it should be a source of division for those of us who believe in Yeshua and Torah. The Torah is what will unify us. All else constitutes doubtful disputations that only serve to separate us from each other and from concentrating on the weightier matters of Torah. I think the calendar Is important, don’t mistake what I am saying. Just that it should not be a source of division and strife between brothers. As Barbara Lock says in her comment….When He returns He will certainly straighten out all of our error. None of us have all the answers. I am posting commentary on this site that fits with my understanding of the scriptures and the appointed times. I do not claim to be an authority, and try to keep an open mind. Having said that, there is zero probability I will accept a lunar sabbath paradigm because it does not fit with the 7 day week established at creation and by Moses and the Israelites. Shalom. I lost my calculator and I’m so glad that you have yours. I always suspected that the bad counting had to do with the difference between the Hebrew Lunar and Gregorian Solar calendars. As with your article, some things are just a bit too complicated for me and I accept that my simplicity will be fulfilled in Christ. I accept the truth of the Scriptures. Dissertation and controversy does not interest me. I thank you for your insights and obvious time spent to understand exactly when. Some day we will know and it will be clear. Thanks for your comment, Barbara. I am sorry if my article was in any way confusing. Certainly not my intention, and in the future I will try to simplify when I can. We have a lot of error to try to untangle, there is no doubt. This article is based on Rood’s Astronomically & Agriculturally Corrected Biblical Hebrew Calendar and his book “The Chronological Gospels, the Life and Seventy Week Ministry of the Messiah. I want to be loving and gracious Julia but when you say Saturday Sabbath and Sunday the first day you are using the Gregorian calendar and it’s mixed worship. It’s an 1800 year old deception from Father’s true calendar. I am trying to communicate with folks who grew up (like me) with the calendar we have. I have visited your site and it appears you adhere to a Lunar calendar. We do not agree in any manner on the calendar. It matters not what you call the days of the week. The only one in the scriptures with a name is the Sabbath, and that occurs ALWAYS on the 7th day. What we call the days 1-6 is certainly interesting, but it doesn’t alter His Calendar. A week is 7 days. Shemitah years on the 7th Year. Jubilee cycles on the 50th year. Bottom line: you have to be able to count to 7 to determine the Sabbath. (See EX 34:21) That sets the pattern for the Sabbath (Shemitah) Year (Lev 25:4)and for the Jubilee Year (fiftieth year). I hope that clarifies any confusion. As far as the ‘theory’ that the resurrection occurred on the 1st day of the week, what we know for sure is that he ascended with the Firstfruits offering on the 1st day (the day we call Sunday). We don’t have an exact time he was resurrected from the dead because he was already absent from the grave when Mary got there ‘early’ on the 1st day of the week. Since He is LORD of the Sabbath, and since he made an ascension up for Firstfruits the day after the Sabbath…it is most likely that he resurrected on the Sabbath day. 3 days and 3 nights from when he was placed in the grave.